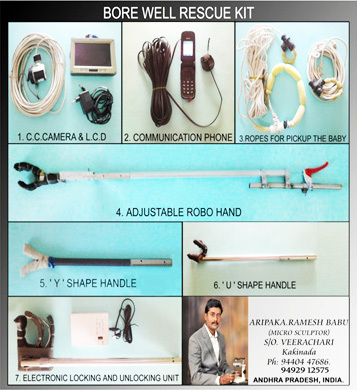 An effective rescue device for those who fall in bore wells. Rescue of the kids is easy and can be done safely in least time. Animals can also be rescued. Recommended to be part of disaster kit with police, Panchayats and Municipalities.